WASHINGTON – A vast crumbling can be heard across Europe, coupled with an ennui that is the ironic upshot of being stunned by too many disparate crises. The Mediterranean, it turns out, is not the southern border of Europe: Rather, that border lies somewhere in the Sahara Desert from where African migrants coalesce into caravans headed north. And as they have throughout history, the Balkans still form a zone of human migration from the Near East. For decades, the dream of the European Union was to become a post-national paradise of prosperity and the rule of law, and gradually, through various association agreements, extend the bounties of civil society to contiguous regions. Now the process is being reversed: The contiguous regions are exporting their instability into Europe itself. Eurasia, a supercontinent of historic exoduses, is starting to reintegrate Europe. This tumultuous process occurs as the social welfare state — the moral answer of European elites to the carnage of the 20th century — has become nearly impossible to sustain at its current level in some countries. The prolonged multi-year stagnation, exacerbated by bad monetary policy, has begot populist movements that will turn against the latest wave of refugees once the initial bout of public compassion runs its course. U.S. Secretary of State John Kerry participates with Indian Minister of External Affairs Sushma Swaraj (L) and U.S. Commerce Secretary Penny Pritzker (R) at the U.S-India Strategic and Commercial Dialogue plenary session at the State Department in Washington on September 22, 2015. Yesterday U.S. Secretary of State John Kerry and U.S. Secretary of Commerce Penny Pritzker co-convened, with their Indian counterparts External Affairs Minister Sushma Swaraj and Commerce and Industry Minister of State Nirmala Sitharaman, the new U.S.-India Strategic and Commercial Dialogue(S&CD). India and the United States have been convening astrategic dialogue since 2010, so the change this year elevated discussion of economic and commercial issues to the cabinet level alongside the central matters of security and global diplomatic concerns. Hint: Neighbouring Myanmar has something to do with it. On September 16, the Indian government banned the Nationalist Socialist Council of Nagaland (Khaplang) or NSCN(K) under the Unlawful Activities and Prevention Act for five years for its role in the June 4 ambush in Manipur which killed 18 Indian security personnel. Since abrogating the cease-fire with the government of India on March 27, the NSCN(K) has repeatedly targeted Indian security forces, the latest being the showdown on September 12 in Nagaland’s Koki village on the India-Myanmar border. This becomes abundantly discernible from a lengthy article in a premier Russian think-tank by Andrew Korybko entitled “Pakistan is the ‘Zipper’ of Pan-Eurasian Integration” published on September 15, 2015. In this lengthy article the author covers in two parts the geoeconomics and geopolitics gains that are likely to accrue to Russia of its geostrategic reach to Pakistan. In the second part, the author dwells in fair detail on the analysis of Russia’s imperatives to move strategically closer to Pakistan. It is not the intention in this Paper to dissect each and every facet that the Russian author advances in support of Russia’s strategic pivot to Pakistan. It would suffice to quote excerpts from his lengthy article to give the Indian policy establishment and the strategic community the thinking that has gone into Russia’s strategic pivot to Pakistan in 2015, though it had been in the works for nearly a decade. Nepal: New Constitution Promulgated: What Next? When Chinese President Xi Jinping comes to Washington next week, will U.S. President Barack Obama again miss an opportunity to permanently deter conflict with China over Taiwan, as he and his predecessors have repeatedly done? During Xi‘s visit, the president can unilaterally announce a landmark decision that won't require either the concurrence of the U.S. Congress (which would support him on this issue in any event) or reciprocal action by the government of China. On his own, Obama could declare publicly that the United States will defend Taiwan against aggression or coercion from China. Earlier this year, I told the story of Xiao Zhang, an ordinary Chinese woman who witnessed the village where she grew up morph into a huge, modern city, and her fortunes transform. But the effects of China's lightning-fast urbanisation has left those in charge with formidable challenges. China has tens of thousands of stories like White Horse Village, the settlement where Xiao Zhang was born. The country's urbanisation is the biggest and fastest in history and it's by no means over. 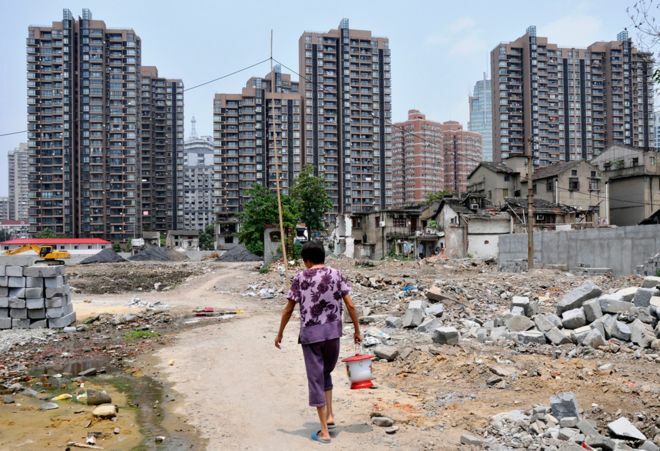 By 2030, China's cities will house close to a billion people, that's 70% of the population. The speed of this transition is also breathtaking. In just 30 years, China has gone from 20% urbanisation to 54%, a journey that took Britain 100 years and the US 60 years. Already there are more than 100 cities in China with a population of more than one million people, compared with only nine in America. 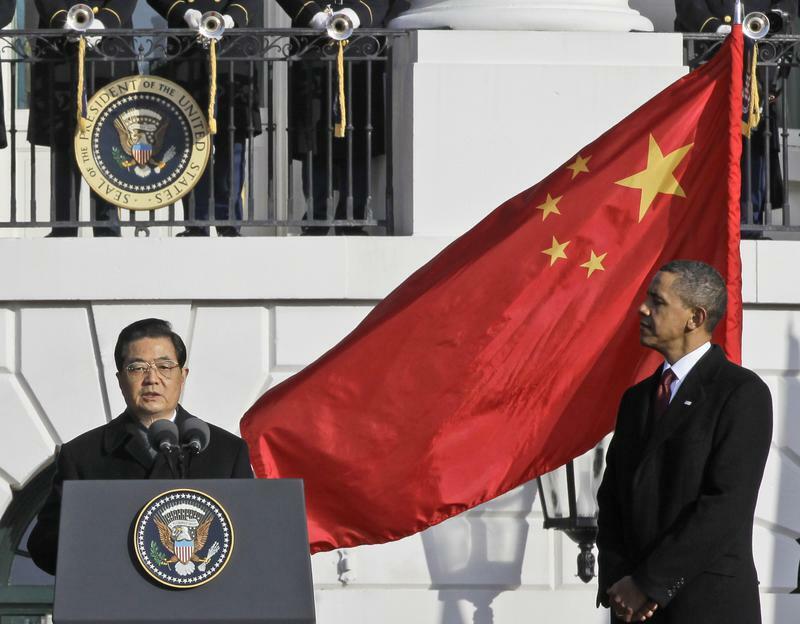 The U.S.-China Summit: Can Obama and Xi Find Common Ground? Chinese President Xi Jinping’s state visit to Washington offers both perils and opportunities for U.S.-China relations. The principal challenge for Xi and President Obama is to address the areas of disagreement candidly while seeking common ground on those and other important issues. As a first step in that process, Obama needs to disregard mounting calls from those who advocate a blustering, hardline policy toward Beijing. A confrontational approach would accomplish nothing and could do lasting damage to the bilateral relationship. Unfortunately, many of the GOP candidates seeking the presidency are attempting to outdo each other in bashing China. Donald Trump scorns the existing features of the trade relationship and emphasizes that he would drive much harder bargains with Beijing. Carly Fiorina is even broader in her advocacy of confrontation, including wanting to go nose to nose with China over Beijing’s territorial claims in the South China Sea. Marco Rubio and now former candidate Scott Walker make Trump and Fiorina look like Sinophiles. Walker urged President Obama to cancel the invitation to Xi. WASHINGTON (AP) – The number of people applying for or receiving security clearances whose fingerprint images were stolen in one of the worst government data breaches is now believed to be 5.6 million, not 1.1 million as first thought, the Office of Personnel Management announced Wednesday. The White House has said it’s going to discuss cybersecurity with Chinese President Xi Jinping when he visits President Barack Obama later this week. Beijing's growing military power is a concern for Washington. But just how worried should America be? How Long Can China Stay on the Sidelines in the War on ISIS? Recent news that a Chinese citizen has been taken hostage by ISIS shows that China is being drawn into the complex politics of the Middle East, and will need to re-evaluate its policy of non-interference. One of the foundations of China's foreign policy since Mao Zedong put forward the Five Principles of Peaceful Co-existence is non-interference in the domestic politics of other states. In the late 1990s China moved towards a 'New Security Order' emphasizing mutually beneficial economic relations between states. More recently Chinese foreign policy statement have emphasized China's 'peaceful rise' or 'peaceful development', promoting China as a responsible international actor and reassuring neighbors that its rise is not a threat. Yet through it all, non-intervention has remained a cornerstone of China's foreign policy. When it comes to the Middle East, China has adopted a two-pronged approach. As of last week, Russia may have decided to join the fight against ISIS. The deployment of Russian air and ground forces to Syria probably has more to do with the survival of the Assad regime (and by extension, the survival of Russian influence in the Middle East) than it does with stopping the ISIS horror show. Nevertheless, given the threat that ISIS poses to Assad, it seems likely that Russians will come into direct conflict with the armed fighters of the Islamic State. So, what is Russia sending to Syria, and how might it affect the course of the battle against ISIS? The Su-25 “Frogfoot” remains one of the world’s premier attack aircraft. Numerous Frogfoots have already served in the fight against ISIS, flying in the Iraqi and Iranian air forces. The Frogfoot, once considered the Warsaw Pact equivalent of the A-10, is a subsonic aircraft with the capacity to carry a large load of missiles and bombs. In addition, the Frogfoot carries a 30mm cannon for close air support duties. Is Iran's Strategy in Iraq Adrift? Russia may have thrown Iran a lifeline in Syria, but Putin’s aid only obscures larger problems for Tehran’s policies in the region. 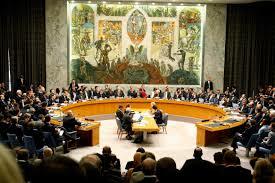 In particular, Iran’s policy in Iraq and its strategy against the Islamic State (ISIS) is under severe pressure. It is not clear the Islamic Republic has a good way forward. Tehran’s activities and policies in Iraq and the Levant remain largely under Islamic Revolutionary Guard Corps (IRGC) Quds Force Commander Qassem Soleimani’s direction. Soleimaini had been riding high ever since the fall of Mosul to ISIS in June 2014. His photographs spread over social media and he waslauded in Iranian and regional press for his role in leading a hybrid IRGC advisory and Shia militia force to fight ISIS in Iraq and President Bashar al-Assad’s opponents in Syria. This past spring, however, the commander began to disappear from view amid speculation of dissatisfaction in Tehran with his campaigns in both theaters. Iranian Foreign Minister Javad Zarif reportedly promised Secretary of State John Kerry that concluding the nuclear agreement would allow Zarif to discuss regional issues, possibly mitigating Soleimani’s influence. Others speculated that retired former IRGC Commander Mohsen Rezaei donned his uniform again at the behest of Supreme Leader Ayatollah Ali Khamenei to keep an eye on Soleimani. Can China Stay Out of the ISIS Fight? One of the foundations of China's foreign policy since Mao Zedong put forward theFive Principles of Peaceful Co-existence is non-interference in the domestic politics of other states. In the late 1990s China moved towards a 'New Security Order' emphasising mutually beneficial economic relations between states. More recently Chinese foreign policy statement have emphasised China's 'peaceful rise' or 'peaceful development', promoting China as a responsible international actor and reassuring neighbours that its rise is not a threat. Yet through it all, non-intervention has remained a cornerstone of China's foreign policy. To their credit, the Saudi authorities did not buy this argument. King Salman bin Abdulaziz Al Saud immediately suspended the company from work, ordered an investigation, and offered compensation for the families of victims. The investigators soon concluded that the company was responsible for the accident, because it did not “respect the rules of safety” and violated the manufacturers’ operating instructions. President Barack Obama is about to lose the man he hand-picked to build the war effort against the Islamic State. Retired General John Allen will be stepping down as envoy to the global coalition this fall, and the White House is searching for a replacement to be the face of America’s flailing effort to destroy the jihadist group in Syria and Iraq. The timing of Allen’s departure could not be worse for the Obama administration. The incoming Marine Corps Commandant, Lieutenant General Robert Neller, testified last month that the war is at a “stalemate.” Last week, the head of the U.S. Central Command, General Lloyd Austin, testified that of the 54 Syrian rebels trained and equipped by the U.S. military, only “4 or 5” were still in the fight. And now the Pentagon is investigating allegations by dozens of intelligence analysts that their reporting on the progress in the war effort was altered before being given to top officials. Iran is interested in acquiring Russian-made Sukhoi Su-30 Flankers for its air force. An Iranian delegation discussed the matter with Russian officials at the MAKS airshow outside Moscow last month, according to Iranian state media. “We are discussing the purchase of Sukhoi fighter planes,” Iranian defense minister Brig. Gen. Hossein Dehqan told the Lebanon-based al-Mayadeen news network according to Iran’s Press TV on Aug. 30. Russian president Vladimir Putin was apparently present for the discussions as was Iranian vice president for science and technology affairs Sorena Sattari according to a report from the IranianFARS News agency. It is not clear which version of the Su-30 Iran is interested in, but presumably it would be one of the advanced variants similar to the aircraft operated by India, Malaysia, Algeria and Russia itself. However, it is also possible that Iran could opt for a variant of the more basic Su-30M2, which is also in service with the Russian Air Force. That variant is somewhat less expensive, which might make more sense considering Iran’s economic situation. Russia admits that it has indeed suddenly increased its military aid to Syria since August and is going to break the UN embargo and supply the Assad government with new weapons. Satellite and ground level photos show more Russian personnel and military equipment in Syria. This increase in Russian military aid to Syria solves several problems for Russia. For one, it prevents the looming collapse of the Assad government, which has been losing territory at an accelerating rate in 2015 and is facing a collapse in morale among its forces and civilian supporters. Iran cannot provide more aid, mainly because despite the July agreement to lift sanctions on Iran that does not go into effect until early 2016 and until then Iran is as broke as ever. It gets worse. The Iran backed Hezbollah militia has been providing thousands of fighters inside Syria but this has been increasingly unpopular among Hezbollah members and even more unpopular with Lebanese in general. That’s because Syria considers Lebanon a “lost province” and has always treated Lebanon badly. Hezbollah had to fight in Syria for the hated (by most Lebanese) Assad government because Iran has long been the main financial and military support for Hezbollah and demanded that Hezbollah send fighters to Syria. But Hezbollah leaders have been warning Iran that the Hezbollah operations in Syria were causing serious damage to the unity and effectiveness of Hezbollah in general. In fact, once it became clear that Russia was putting substantial combat forces in Syria, Hezbollah quietly informed Iran and the Assads that by the end of the month Hezbollah would cease offensive operations in Syria and confine their participation to fighting Syrian rebel (especially al Qaeda and ISIL groups) attempts to get into Lebanon. This sort of thing is very popular with most Lebanese and especially welcome by Hezbollah fighters, who always thought they had signed up to defend Lebanon in general and the Shia minority of Lebanon in particular. Guarding the border is doing just that and will repair the damage to morale done because of combat operations inside Syria (and several thousand casualties suffered as a result). Instead of closing the book on defense reform, Congress and the Pentagon need to lean forward. Everyone seems to support defense reform, but what does it mean? Defense reform is one of those phrases that simultaneously means a lot and absolutely nothing. At its most meaningless, it’s a buzz phrase used to advance a pet project. 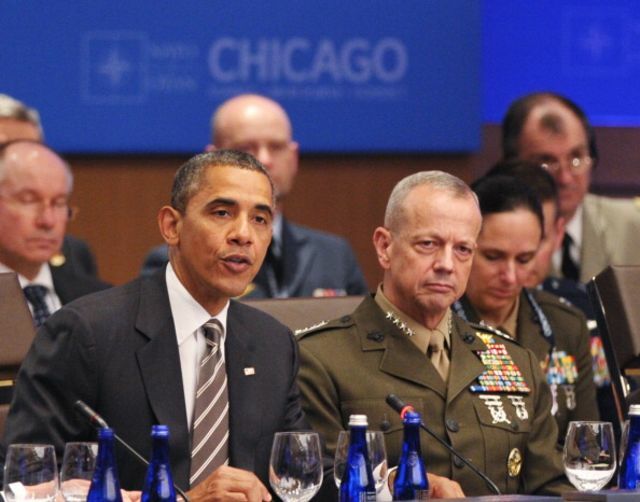 At its best, defense reform is about building a better military for today and the future. Skeptics point out that political leaders always talk about acquisition reform, yet the acquisition system never seems to improve. Others express concern that defense reform is really an attempt to provide national security on the cheap. Both of these concerns have an element of truth, but defense reform is nonetheless a vital project. Although the defense budget has been significantly cut in recent years, the Department of Defense remains the third largest government organization by budget authority and the largest by employment. Improvements and efficiencies can always be found in an enterprise so large. Defense reform might not fix sequestration or buy back Army end strength, but improving how the Department of Defense does business is always a worthy project. It seems like it might be about 10 years too late to the party but come October 1, the Central Intelligence Agency will ad a new directorate that will focus on all things cyber and digital espionage. “On October 1st, ten new CIA Mission Centers will cover every issue we face—six focused on regions, like Africa and the Near East; and four focused on functional issues, such as terrorism and weapons proliferation. Each center will pull together all the tremendous talents and skills previously stove-piped into separate groups, promoting collaboration among Agency specialists in operations, collection, analysis, technical capabilities, and support,” Cohen stated. Even as divisions deepen amongst EU member states on how to respond to the rising refugee influx, three narratives have dominated the refugee crisis in Europe. 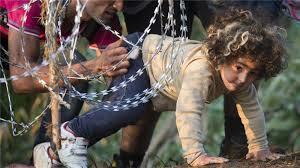 One, that Europe has been part of the causal factors of the problem in the conflict zone countries (of which the refugee crisis is symptomatic), hence it must do its bit to be part of the solution; two, Europe must abide by the ‘tradition’ of hosting refugees and migrants, which is rooted in its culture and history if one looks far back as the last century; and the third relates to the EU and its obligation to humanitarianism and upholding of human values. The Syrian war and the mass exodus of refugees from the Middle East, according to some analysts, has continued largely due to the US decision to restrain its influence over these matters and in the process ceding space to Iran, Turkey, Russia. The Soviet Union's Lethal MiG-25 Foxbat: A Business Jet? The Soviet MiG-25 Foxbat was one of the most famous fighters of the Cold War. A big, powerful, twin-engine interceptor that could fly faster than Mach 3 and 70,000 feet, the Foxbat set several speed and altitude records in the late 1960s and early 1970s. The MiG-25 shocked Western nations accustomed to thinking of Soviet jets as cheap, expendable and inferior. Indeed, the MiG-25 spurred the development of a new generation of American fighters such as the F-15 (not to mention inspiring a bad Clint Eastwood movie). But had things turned out differently, instead of carrying guns and missiles, the MiG-25 would have carried stewardesses, vodka, and some lucky passengers on the ride of their life. In the early 1960s, the MiG design bureau proposed turning the MiG-25 into the world's first supersonic business jet. Instead of rude Aeroflot flight attendants on decrepit Russian airliners, passengers could zoom 6,000 miles from Moscow to Vladivostok in a few hours. The project never got beyond the drawing board, but authors Yefim Gordon and Sergey Komissarov document it in their book "Unflown Wings: Unbuilt Soviet/Russian Aircraft Projects Since 1925”. Turkey is collectively losing its mind and may be facing its most dangerous period in decades. Once heralded as a beacon of stability and democratic promise in a region where both have been short in supply, Turkey is now making the headlines as a land of uncertainty and pessimism. Make no mistake: Turkey has never been perfect with respect to its record on democracy, freedom of speech, and human rights, but until very recently it offered something it cannot easily offer now: hope. Just check latest online news and commentaries about Turkey in the global media and you will see a pattern of doom and gloom scenarios. The domestic political discourse is even worse. That the country is becoming more polarized across political and ethnic lines is not news anymore. What is more troubling is that different segments of the society now have their own version of “reality” and are utterly uninterested in hearing what others have to say. Sustaining these contradictory realities no longer requires logic or facts. If you challenge the validity of a group’s version of “what is really happening in Turkey,” then you must be with “them,” an instant enemy to be demonized, or at best a fool. Turkey is losing its mind. There are clear applications for massed landpower in Europe and Korea – not so in the Middle East. WASHINGTON: “The world of manned reconnaissance is gone, and soon manned reconnaissance itself will be gone.” So says Charles E. Allen, whose opinion on such matters carries more weight than most. Charlie Allen joined the CIA in 1958 and spent the last seven of his 40 years there as assistant director of central intelligence for collection. He was chairman of the National Intelligence Collection Board, coordinating all secret intelligence gathering by the CIA and a dozen or so other agencies. Allen also served as director of the CIA’s National Warning Staff. He predicted Saddam Hussein’s 1990 invasion of Kuwait. He also pushed the CIA to use a Predator drone to find Osama bin Laden in 2000 and argued for using an armed Predator to kill himbefore 9/11.